As someone who works in the design community, I have quite the collection of fonts. I'm of the belief that there's no such thing as too many fonts...am I right!? So to spread the font love, I've decided to start a new series for my blog called Free Font Friday. 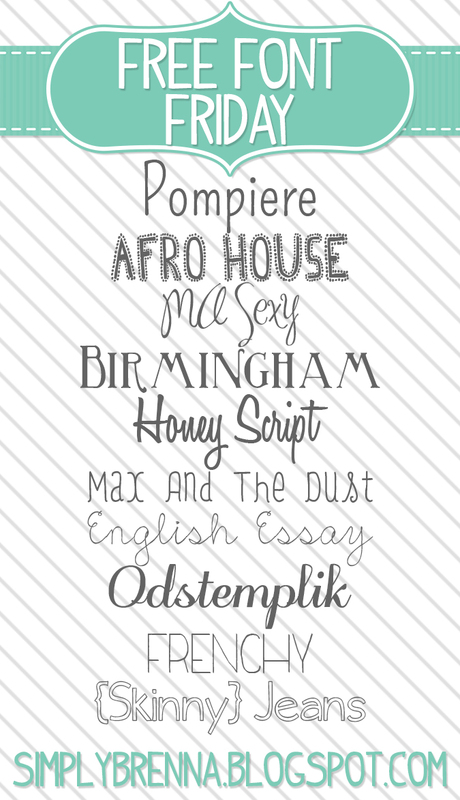 Every Friday I'll post 10 new fonts that I'm loving - along with the links to download them for yourselves. Make sure you check back weekly to see all the fun fonts! Here's the first 10 fonts for you all!